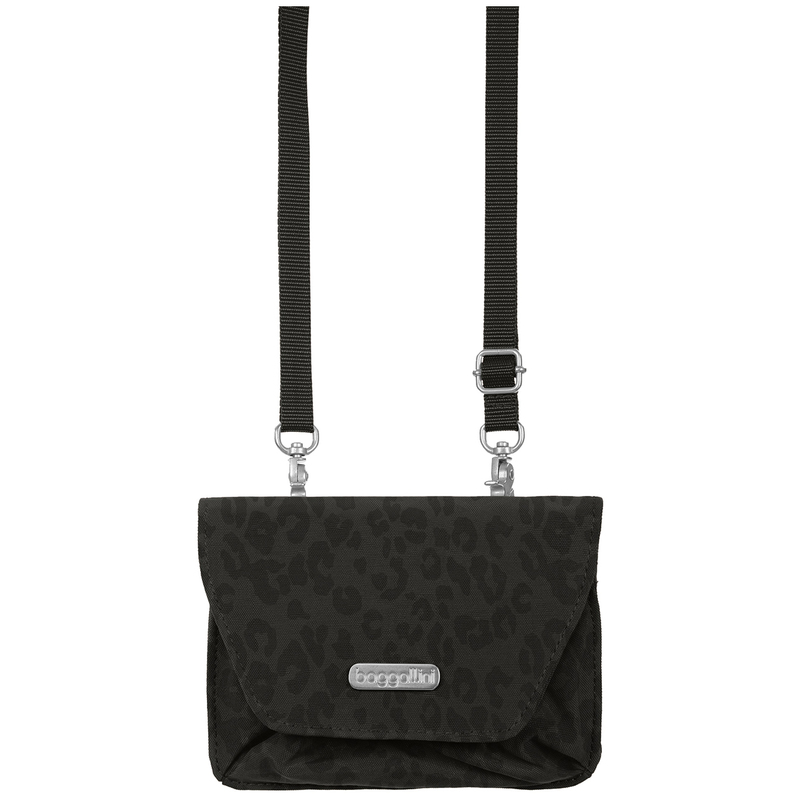 Adjustable shoulder strap Secure, zippered cell phone and PDA pockets Interior credit card slots, lipstick holder and key leash Large center compartment with removable coin purse Lightweight, water-resistant nylon Also available in Print 10.5" w x 8" h x 4" d 16 oz. 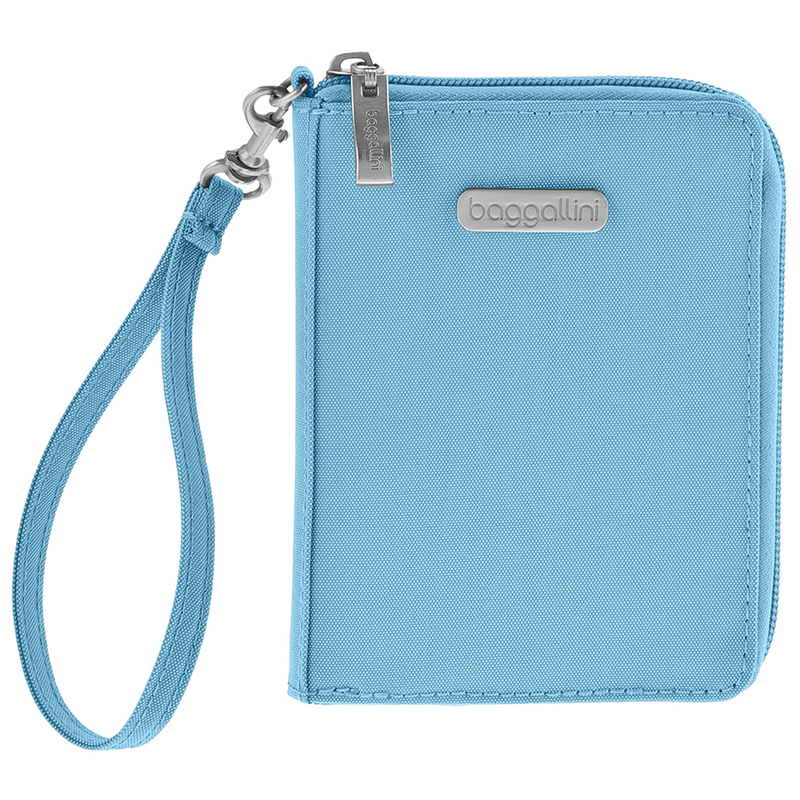 Travel securely with this passport case, which includes RFID-blocking linker to protect your information from scanning Interior passport and card pockets RFID-blocking liner to protect from scanning Lightweight, water-resistant crinkle nylon 4.125w x 5.5h 2.4 oz. 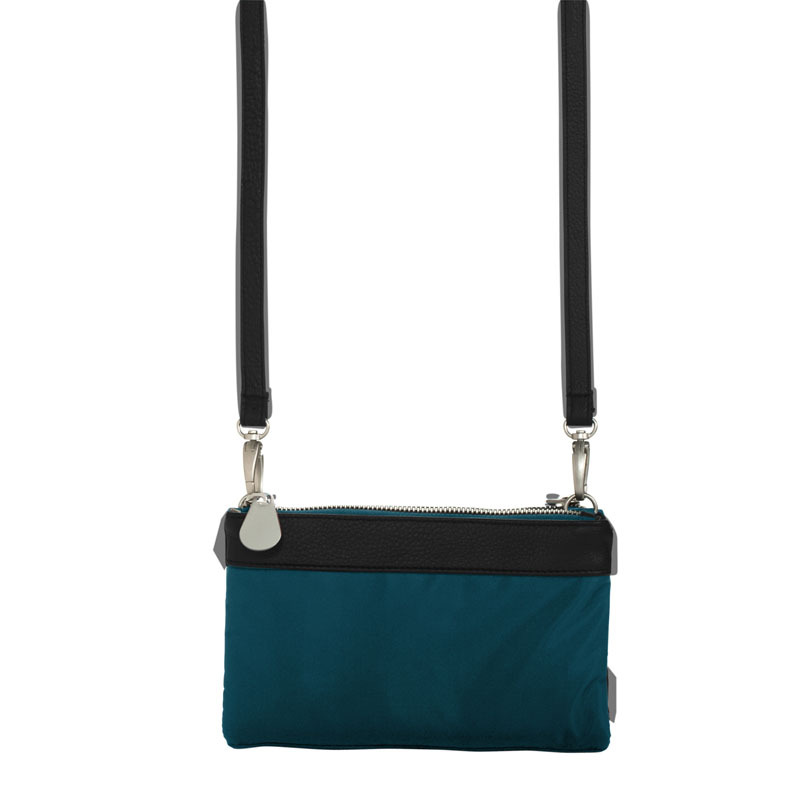 52” removable, adjustable crossbody strapLoops on back allow for wearing on beltFront pocket under flap fits most cell phonesInterior organizational pocketsLightweight, water-resistant nylon4”h x 6”w x .75”d – 5.6 oz. 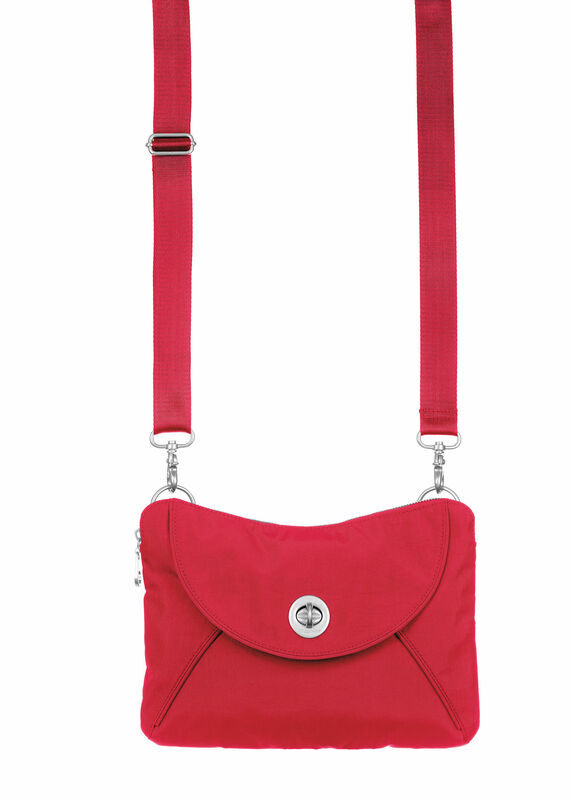 52” adjustable crossbody strapOrganizational pocket behind snap closed flapSecure, zippered main openingInterior organizational pocketsExpands 2.5” when unzipped on side and bottomLarge pockets for digital tabletsRemovable coin purse includedLightweight, water-resistant nylon12”h x 11”w x 2.5”d – 1 lb. 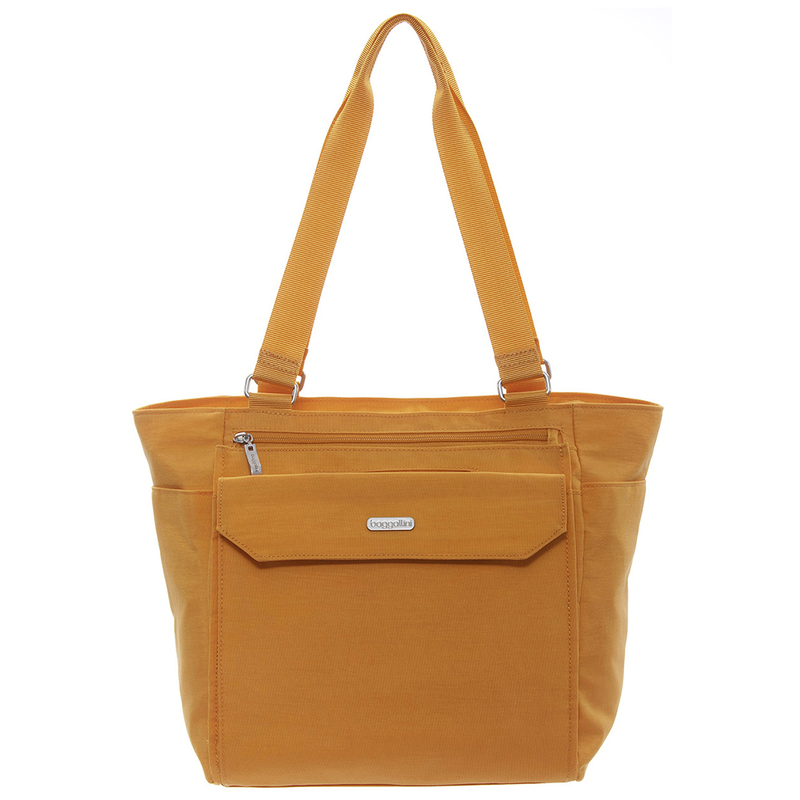 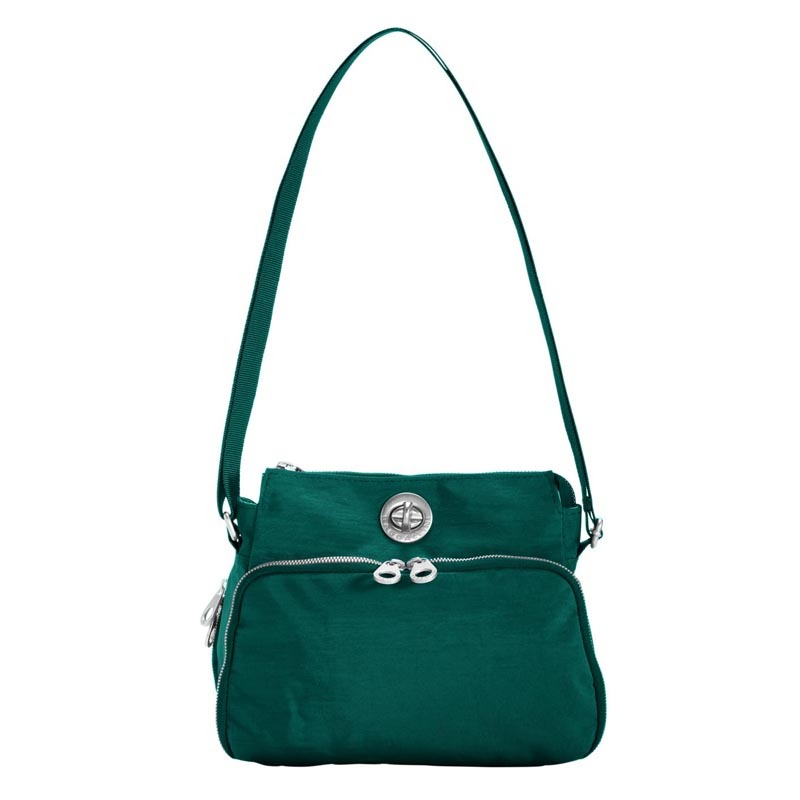 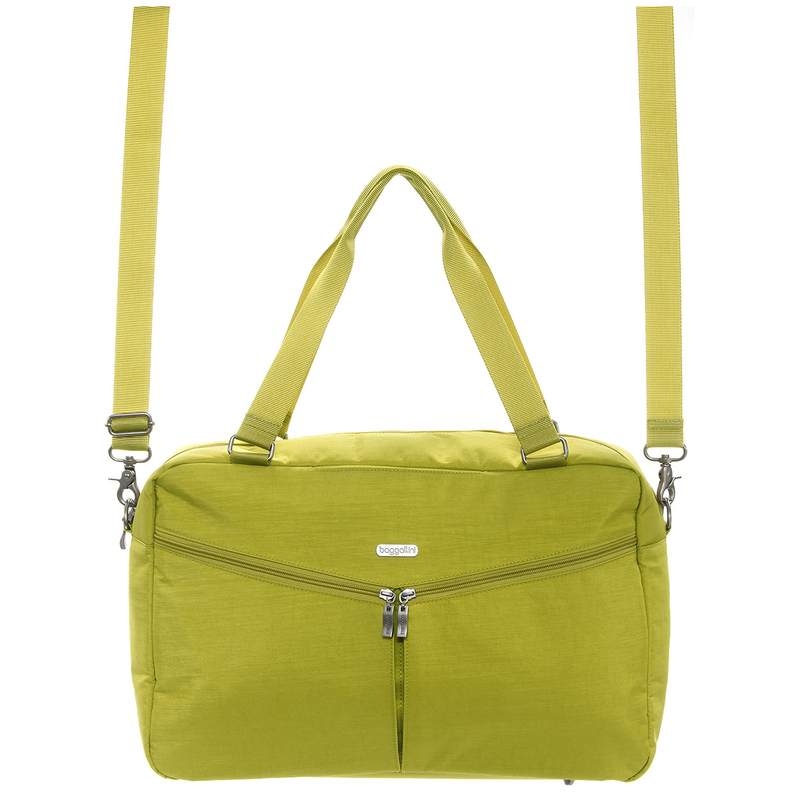 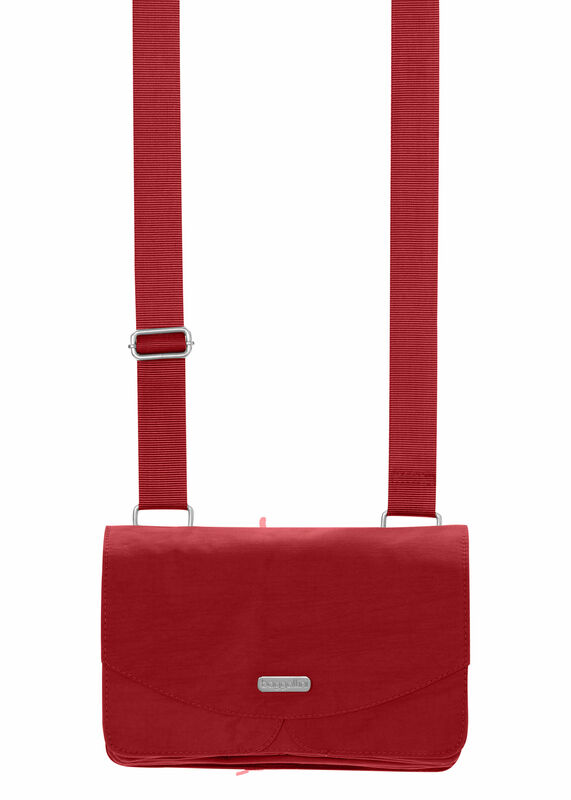 11” drop shoulder straps52” removable cross body strapInterior organizational pocketsPadded interior pocket for digital tabletRemovable coin purse includedBack pocket converts to slide securely over suitcase handleLightweight, water-resistant nylon11.5”h x 17”w x 6”d –1.6 lbs. 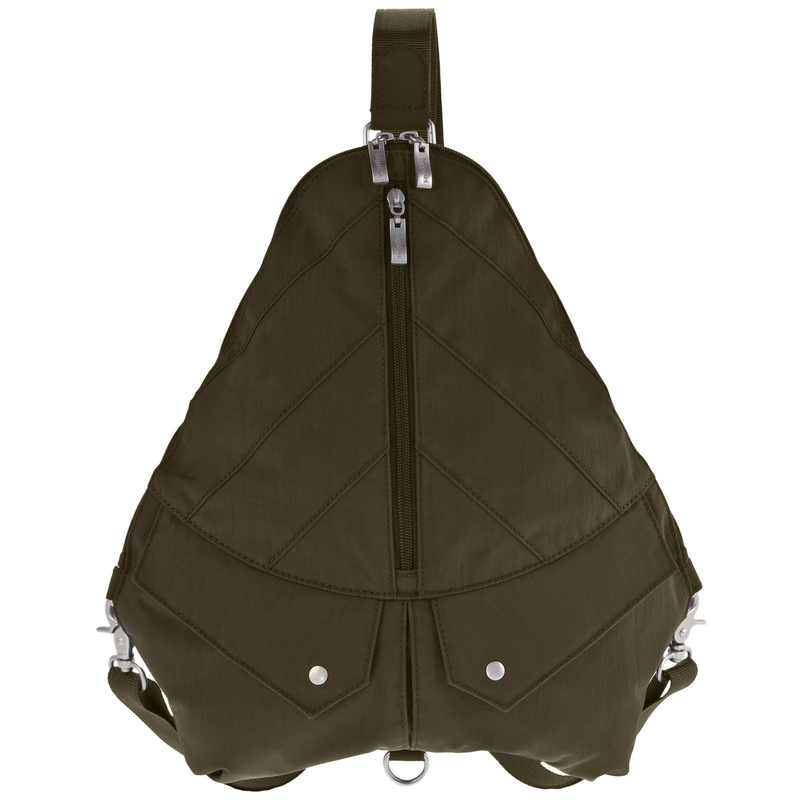 A beautiful backpack that takes you where you need to go – day or night Straps convert from backpack to sling to crossbodyMain zipper compartment has organizational pocketsFront middle zipper pocketRemovable coin purse includedLightweight, water-resistant nylon14”w x 14”h x 2.5”d – 1.05 lbs. 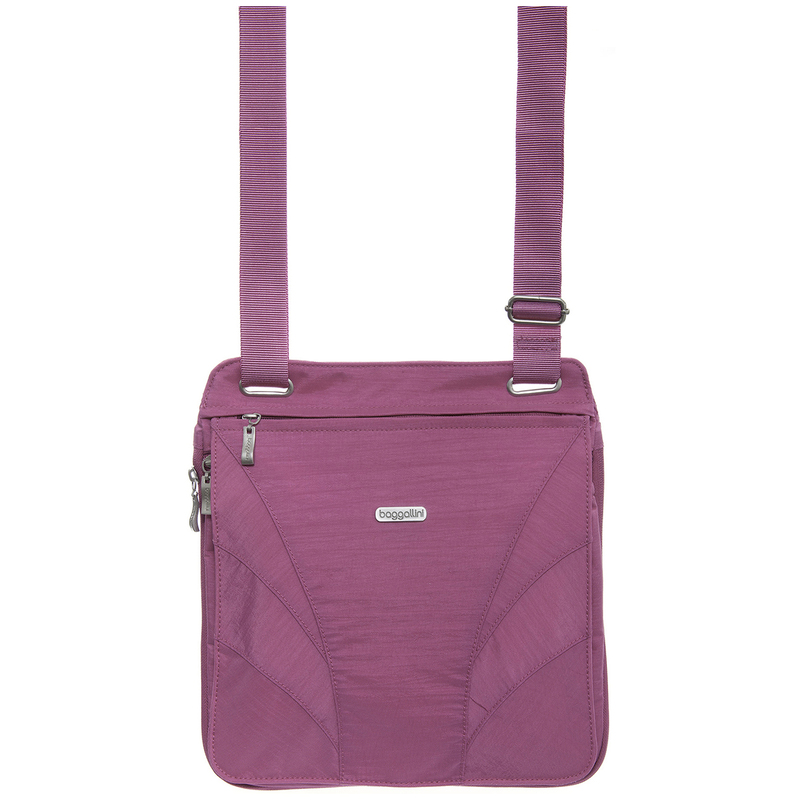 11” drop shoulder strapPadded front zipper pocket for digital tabletsInterior organizational pocketsRemovable coin purse includedBack pocket converts to slide securely over suitcase handleLightweight, water-resistant nylon12”h x 10.5”w x 6”d – 1.6 lbs.